Facebook/FDNYErika Marrero, left, and Julianna Arroyo were engaged during New York City’s pride parade Sunday. 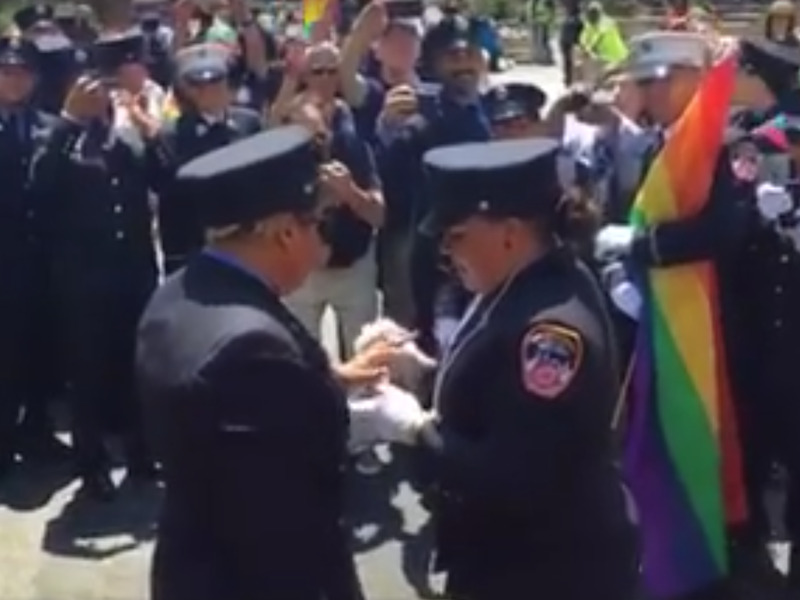 An EMT with the New York City Fire Department proposed to her girlfriend in the middle of the 46th annual LGBT pride parade. Julianna Arroyo and Erika Marrero were marching with the FDNY at Sunday’s parade when Arroyo stopped, kneeled down, and pulled out a ring. Fellow FDNY members and some of the couple’s relatives cheered when Marrero said yes.